Labelle Winery is a gorgeous Southern New Hampshire vineyard that makes for an elegant and pastoral backdrop perfect for any wedding. Lush vines, tall grass, a rustic far-away barn, and an eclectic wine cellar are all a part of its charm. With several outdoor ceremony and photo locations, the options are endless. Labelle’s variety of options always make for a unique experience at this countryside wedding venue. Below is a mixed gallery where you’ll find some of our favorite Labelle wedding photos! 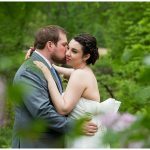 The collection on this page gives a great sense of our photojournalistic shooting style, and all the great wedding photography opportunities Labelle has to offer. Enjoy!